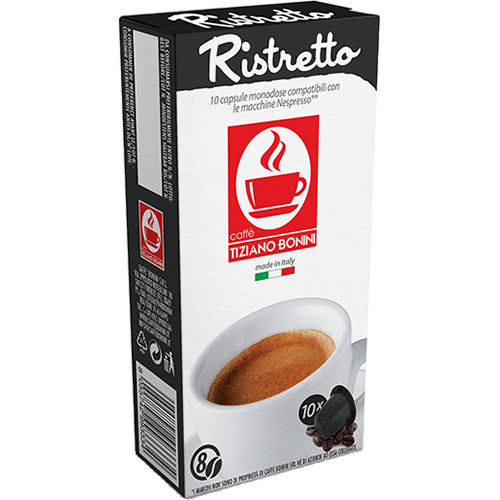 Caffè Bonini Ristretto coffee capsules compatible with Nespresso is a blend for the lovers of Italian espresso. Slow roasted with strong and dark character. Dark chocolate tones. Try a drip of milk or make a cappuccino.